A nature inspired necklace & earring set. 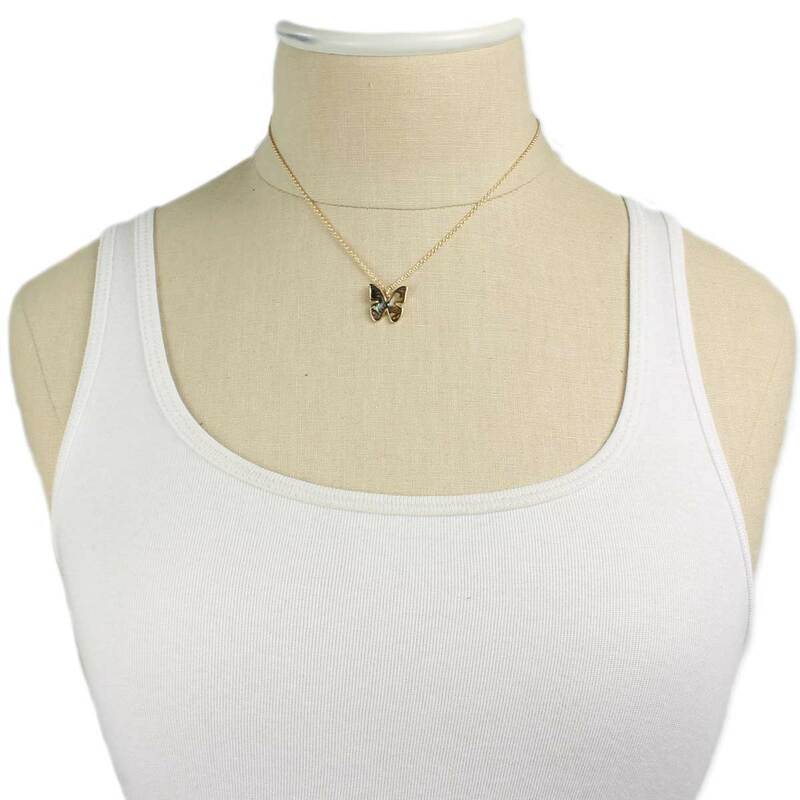 Fine link gold chain necklace features a tiny butterfly pendant with inlaid shell. 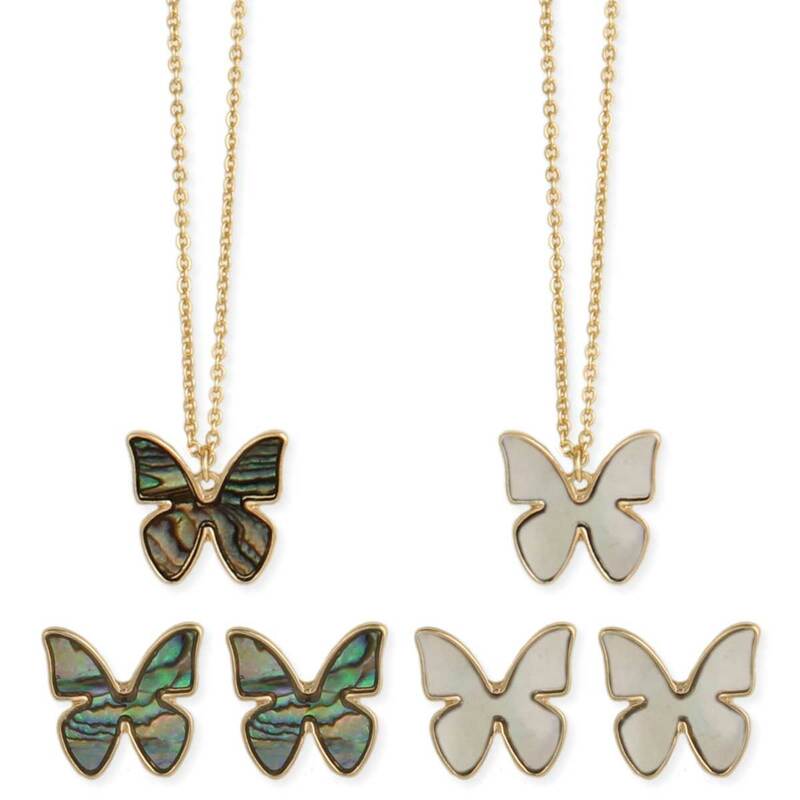 Includes a pair of matching shell butterfly earrings. 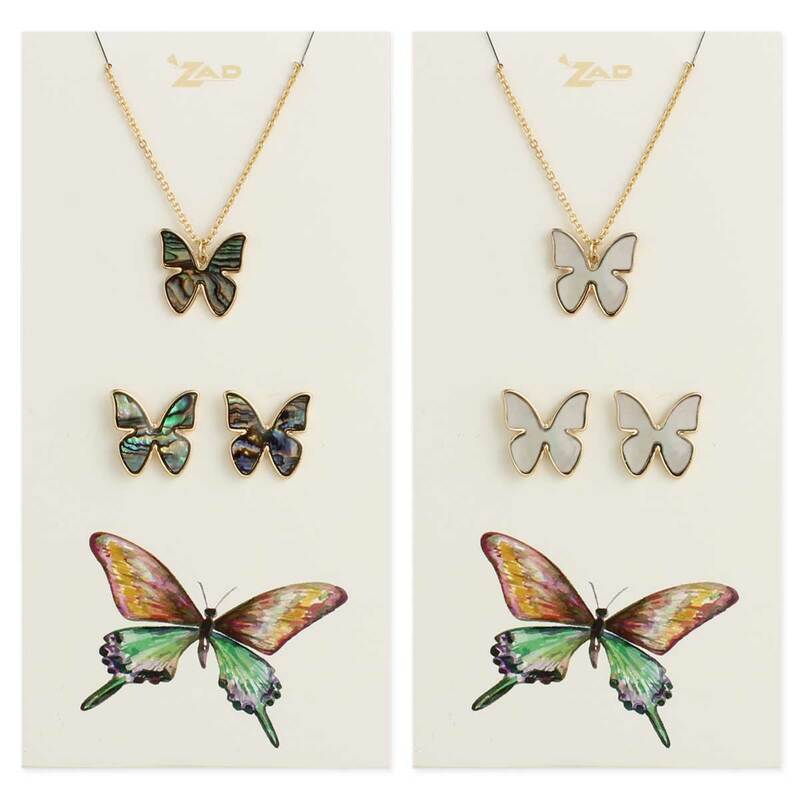 A sweet butterfly jewelry set!